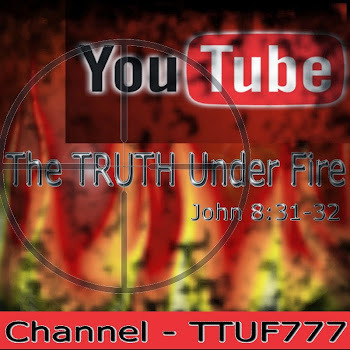 Here again we have the LORD Jesus speaking in parables; He began this in chapter 13 because of what transpired in chapter 12: the Pharisees attributed the power by which the LORD Jesus cast out demons to Satan, rather than the Holy Spirit, Who anointed Jesus as the Messiah – “the Anointed One”. This was a seriously grievous deed, and by rejecting the witness of the Holy Spirit, by Whose power the LORD worked these miracles (prophesied in Scripture to be signs done by none other than the Messiah Himself; see ISAIAH 61), they were guilty of blaspheming the Holy Spirit. As the national leadership, these Pharisees brought judgment upon Israel by their rejection – the LORD is still reaching out to individual Jews, but this was a pivotal point in the nation’s path (also prophesied in Scripture; see ISAIAH 53). This judgment took the form of speaking in parables, which, for those who reject the truth, will hide truth from their understanding. 11 . . . Because, it is given unto you to know the mysteries of the kingdom of heaven, but to them it is not given. Note that word, “again” – the LORD didn’t stop at giving them another round of parables on top of the ones that He gave previously. He is rendering more parables that speak on the central topic of “the kingdom of heaven” or as it could be translated, “the kingdom from heaven”. That kingdom will come from heaven, and be established on Earth when once the Messiah, the Son of David, returns and reigns as King of Israel (DAN 2:34,45). While parables are thought to be good teaching aids, the LORD pointed out the fact that they are a mystery to those who refuse the truth – they are nothing more than puzzling stories with no meaning (“having eyes, they see not and having ears, they hear not”). Parables are only good teaching aids to those who hunger for and love the truth and righteousness of God (MATT 5:6; ZECH 4:15). 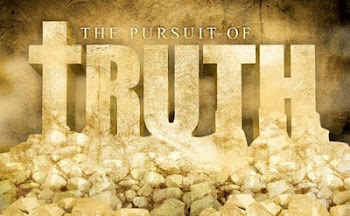 Parables, while being a kind of judgment upon those who reject truth, are also a mercy: for if they understood any further revelation of the truth, and likewise rejected it, they would incur even more severe punishment (LUKE 12:48). So, the LORD compares the Kingdom of Heaven with a marriage, which the King made for His Son. We understand that the son is the Son of God, the Word Incarnate, who is to be wedded to His bride. Yet these not only rejected the offer, but spitefully treated the messengers, the servants of the LORD, that is, the prophets and their testimony. The King’s response is the very same as that of the LORD Jesus Himself upon all of those who reject His Gospel, which was first preached to Israel, before it came to the Gentile nations (MATT 10:5-7; ROM 2:9). Again, the religious leadership rejected Jesus as the Messiah, rejected the Messianic signs and miracles that He performed, and as a result, will incur the very judgment that the LORD is speaking of here. This is the primary reason for the 70th Week of Daniel, the seven-year period colloquially known as “the Great Tribulation” – judgment upon those who reject Christ, to the Jew first and also to the Gentile (ZECH 13:8-9; JER 30:6-8). The King here directs his servants to go out and bid as many as they find, to come to the marriage feast. Those were counted unworthy who themselves deemed the King’s invitation as unworthy of their time. Likewise, there are those who consider the Gospel and the life that Christ offers us poor sinners as “a waste of time” and “a waste of youth (I’ll get saved when I’m old and can’t have my fun anymore)”. The lowly, the meek, the poor (MATT 5:3,5), the weak and despised (1 COR 1:25-29) and what is perceived by the proud and powerful of this world as “the offscouring” (1 COR 4:13); these sorts have been invited – and received the invitation! All to the glory and grace of our GOD! Those who were called and responded were either “good” or “bad” that is, of varying moral levels – but entrance into the kingdom is not based on our own various brands of righteousnesses (IS 64:6) but upon the grace of God. “Whosoever will . . .” may come to salvation, regardless whether or not they are a moral or immoral person: if repentance is evident (MATT 3:8), that is, a different attitude about themselves and sin, and such find a desire in them (born and nurtured by the Holy Spirit) to seek after God (PS 27:8) , such a one may freely come (REV 22:17). Yet there is one remaining point in this parable: there came a man to the feast who declined the King’s provision of a wedding garment. Any beauty of holiness and righteousness that we as the bride of Christ are adorned with, are at the cost of our bridegroom – His precious blood in fact. The scrutiny of the King, with His eyes as a flame of fire (REV 2:18-20) shall rightly judge between sheep and goats (MATT 25:32), and such will be delivered out of the kingdom that was promised to them, but were found unworthy of it (See LUKE 4:25-27; MATT 8:5-12; ROMANS 11). What brings me such joy is the realization that while initially Israel rejected her Messiah, there is coming a day when they shall receive Him, and on that day the Millennial Reign of Christ shall commence. We are doing a series on the Millennium and all that this period of time entails, and you may see the first article, here. 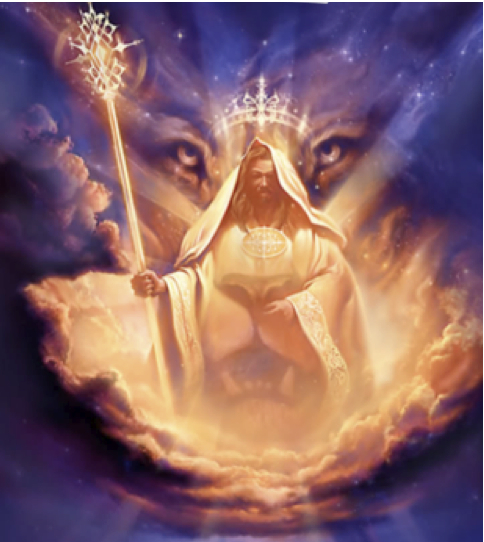 Israel will finally know everlasting peace and prosperity under the extraordinary benevolence of her coming King, the Lion of the Tribe of Judah! The word “entangle” here in the Greek means, to ensnare, to catch, and metaphorically to trap someone in an accusation based on their own words. And the ones that were sent by the Pharisees began this attempted entrapment with flattery. There is nothing good that comes from flattery, because they are intentional lies spoken to illicit a false belief and confidence in the victim of those with such ‘silver tongues’ that they are their friends or allies; those that believe such flattery's are often puffed up with pride but may find a knife in their back from the smiling predators that seek their downfall. At the very least, the flatterer wants a place of favor in the one being flattered, and hopes to ‘butter them up’ enough to get what they want. 9 For there is no faithfulness in their mouth; their inward part is very wickedness; their throat is an open sepulchre; they flatter with their tongue (See also PROV 26:28; 29:5). What these Herodians said of Jesus was true: Jesus is true, and He indeed teaches the way of God in truth; and Jesus doesn’t regard people or esteem them according to their own worth or integrity, especially not those who are given to pride, arrogance, haughtiness, etc. (JOHN 2:24-25; PROV 6:16-19). What wasn’t true – or genuine, was their inquiry; they merely wanted to indict Jesus with a claim that would cause trouble for Him with the Roman government: admonishing people to NOT pay their taxes would do the job! On the other hand, if He supported taxation of the Jews by Rome, He would no doubt ‘lose popularity’ with the people (Not that that would matter to Him). It would seem this trap was an effective one – either answer He gave would be a detriment. Yet I love how the LORD dealt with these two-faced liars! There are certain instances where the King James Version is impossible to improve upon, and I can’t help but smile at the LORD’s words, cutting these hypocrites down to size. He then asks to see the tribute money and demands that they tell Him whose image and superscription are on the coin. Giving the obvious answer, Jesus then says, Render therefore unto Caesar the things which are Caesar's; and unto God the things that are God's. Whichever image is imprinted on either the coin or the person, that is the one that can lay claim of ownership. Every coin bearing the image of Caesar, he can claim, and rendering such to him is only right. Likewise, every soul that was intentionally (and originally) created in the image of God, belongs to Him. Behold, all souls are mine; as the soul of the father, so also the soul of the son is mine: the soul that sinneth, it shall die (See also GEN 1:27). The Herodians were speechless, and couldn’t find any fault at all in His answer to them. I wonder if many of us had wished He said, “Don’t pay taxes!”? I’m sure that would have made at least some of us happy. This is the second sinister salvo that the religious leaders fired at Jesus! This time the Sadducee's are at it. They propose a hypothetical situation before Him; a man leaves his wife a widow, and the first of his six brothers then assumes his family responsibility (GEN 38:8), but then he also dies without fathering any children. One by one, these brothers step up and marry this woman but end up dying (was this woman some sort of black widow??) before any children were conceived. The Sadducee's then pose the question about whose wife she will be in the resurrection, since all the brothers had her. A strange question from these sort, since the Sadducee's didn’t believe in angels, spirits or the resurrection (ACTS 23:8); so why did they bother asking it? Perhaps to demonstrate that the more ‘rational view’ (their own), that no such things exist, otherwise how could such a dilemma be solved? The LORD patiently explains their ignorance of the Scripture, as well as the authority that God exercises over His creation. Of course procreation is a necessity in this world of mortals, in order to sustain the human race. Yet when once “this mortal puts on immortality” (1 COR 15:53-54) and death is no more, there will no longer be a need for procreation, pregnancies and raising children. Those of the resurrection will in that sense, be as the angels – immortal, undying, everlasting. They will not marry just as the angels do not marry. There are those who use verse 30 as a proof text that the idea of fallen angels . . . (“sons of God” (GEN 6:2) always refers to creatures directly created by God, primarily angels (but also Adam (LUKE 3:38) and those whose new hearts in Christ are created by His Spirit; JOHN 1:12-13) . . . procreating with human females to create “Nephilim” (half-angelic/half-human hybrids that were often of gigantic stature; and mighty men of renown – there seems to never be a reference of a giant that is female however) is not biblical, but if we read this text carefully we understand that it is “the angels of God in heaven” that do not marry or given in marriage. The angels that sinned, in following Satan, would have no such compunction in partaking of such a sin, and Scripture does suggest that “the angels that sinned” were consigned to tartarus (“hell”) in chains (2 PET 2:4), awaiting judgment – whereas elsewhere Jesus stated that hell was created for the devil and his angels (MATT 25:41), but that is their future destiny, not their present location (1 PET 5:8). These fallen angels committed an act of such heinous proportions that God deemed it necessary to banish them (JUDE 1:6-7); many suggest that they went after “strange (or different) flesh” in comparison to what Sodom and Gomorrah did, that is in the case of former, angels – human flesh; in the case of the latter, other men in homosexual acts. The resurrection, and those who are destined for the resurrection of the just, are not ‘dead and gone’ as it were; only their bodies are in death (“sleep”), but as the LORD points out, God identifies Himself as the God of Abraham (not, ‘I Who was the God of Abraham’), and Isaac and Jacob; indeed He is the God of the Living! Those we have known in the LORD and have passed on, have merely changed their address. They live still, and their bodies merely wait to be awakened and brought to life in a glorified state of incorruption! The word “astonished” in the Greek is ekplesso, and it means to strike with alarm, stunned surprise, terror; one could say it’s like getting ice water splashed in the face. The LORD didn’t teach as did the scribes and Pharisees who were most often quoting various rabbis from antiquity in explaining the Scriptures. Jesus quoted no teachers, but the Word Incarnate declared the Word inspired itself and related this Word to the people inspired (“. . . but I say unto you . . .” MATT 5:21-22, 27-28) interpretation. And He was endeared to the people, as He taught them the Word of God in truth, and not as the religious hypocrites (MARK 12:37b). While the Pharisees were gathered together, no doubt, plotting their next move, a lawyer came and asked which was the greatest commandment. We know the LORD’s answer to this one, don’t we? “To love the LORD thy God with all thy heart and with all thy soul and with all thy mind (and strength)” – for the merely religious, this is far too great a demand upon them. In their mind, there should be room for other loves and affections, things of this world which, if one makes oneself a friend of, biblically they are considered – enemies of God? Yes! Yet for those of us who are redeemed by the blood of the Lamb, indwelt by the Spirit of grace and sanctified – set apart from this world, and so empowered, this is not so great a demand as it is a blessed privilege. The fact that this is how Jesus demonstrated (as did the Father, and the Spirit in their Own ways) His love to us: with His whole heart, mind, soul and strength upon the Cross of Calvary, willingly dying for our sins, exhausting His entire Person in this Sublimely Supreme Sacrifice as our Sin-bearer! He is WORTHY of such all-consuming, passionate, fervent love from us, His redeemed ones! To love our neighbor therefore reflects the genuine love we have for God; we cannot expect such love towards God to be genuine, if we do not love our neighbor, and especially those of the household of faith (1 JOHN 4:20). And some of our neighbors might not be so easy to love! Consider the parable of a certain Samaritan (LUKE 10:25-37). A simple godly life as a disciple of Jesus Christ entails loving God and others – and if done by the Spirit of grace, will be a fulfillment in obedience to all of the law and the prophets. An interesting statement, considering the demands made by groups like the Hebrew Roots Movement, I must say. I can see the Pharisees huddled together, heads bent towards each other as they whispered and plotted as to what to do with this Jesus of Nazareth. The LORD no doubt interrupted their conference when He addressed them with a question of His own. For David to call Solomon or Nathaniel or Absalom (his sons) ‘Lord’ would be inappropriate. And yet the LORD said unto (David’s) Lord – (his son) “Sit at My right hand, until I make Your enemies Your footstool” Something that the LORD God would do for the Messiah. This would mean, being Lord, that the Son of David pre-existed David – which would in turn mean that the Messiah could be none other than God Himself. The Pharisees had absolutely no response to the LORD’s insight. This so disturbed them that none of them dared asked Him any more questions! That’s what they get for trying to play dueling swords with He Who speaks forth the Sword of the Spirit, the Word of God (EPH 6:17; REV 1:16; 2:16; 19:15). Thus concludes the commentary for chapter 22 of this GOSPEL of MATTHEW - The MESSIAH and HIS KINGDOM MESSAGE. Next time, in the 23rd chapter, we will witness Love Incarnate rendering a rebuke of the religious leadership that would curdle milk!